At least eight climbers from a South Korean expedition have died on Nepal's Mount Gurja after their camp was devastated by a violent snowstorm, officials said Saturday, AFP reports. Thapa said a ninth climber may also be missing. A helicopter reached the site and managed to land just above the expedition team's camp, but were unable to retrieve any of the bodies. Wangchu Sherpa of Trekking Camp Nepal, who organised the expedition, said they raised the alarm after they had not heard from the team for nearly 24 hours. "After they (the climbers) were out of contact since yesterday we sent people from the village and a helicopter to search for them," he said. Feted South Korean climber Kim Chang-ho, who in 2013 became the fastest person to summit the world's 14 highest mountains without using supplemental oxygen, is reportedly among the dead, according to local media. 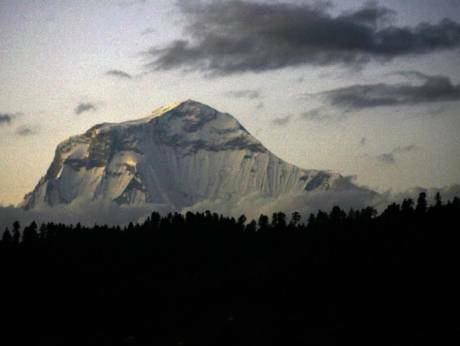 Gurja lies in Nepal's Annapurna region, next to avalanche-prone Dhaulagiri — the world's seventh highest mountain. Thousands of climbers flock to Nepal each year — home to eight of the world's 14 highest peaks — creating a lucrative mountain tourism industry that is a vital source of cash for the impoverished country.